New Super Boo Items Now In Stock! 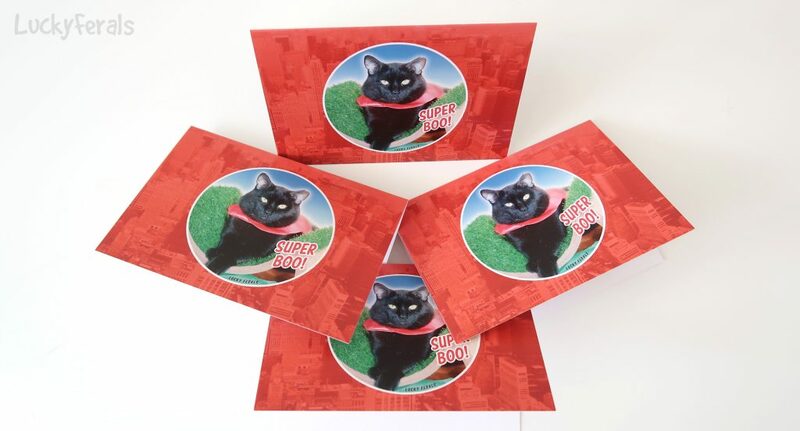 Two new Super Boo items are now in stock at the Lucky Ferals Web Shop. 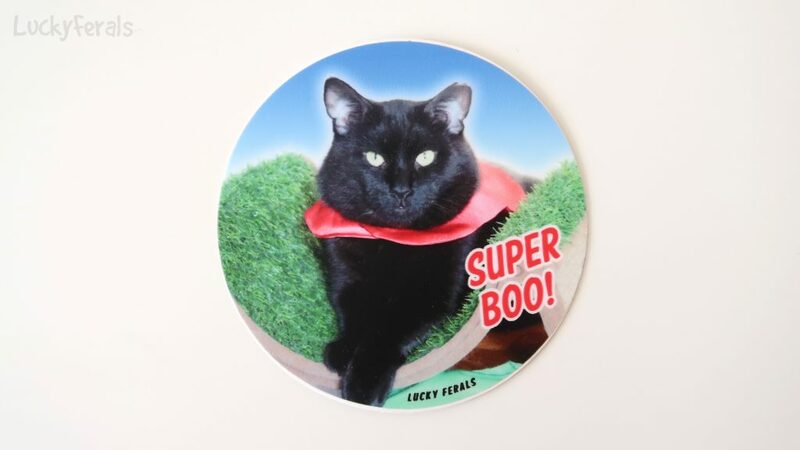 We have new 3″ round Super Boo vinyl stickers which are being sold for 99 cents each. 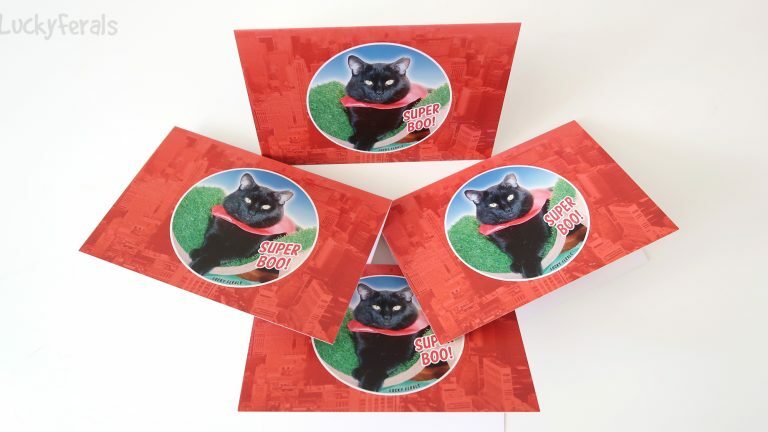 We also now have Super Boo note cards! These note cards are 5″ x 3/5″ and are the perfect size for sending a little note to a friend or family member. They are sold in a set of 4 for $4.99.